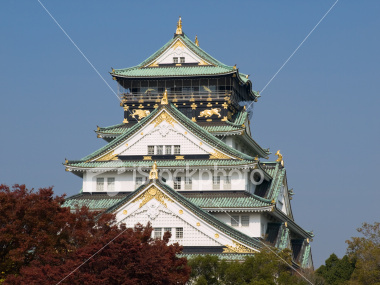 Osaka Castle (大阪城, Ōsaka-jō) is a Japanese castle in Chūō-ku, Osaka, Japan. 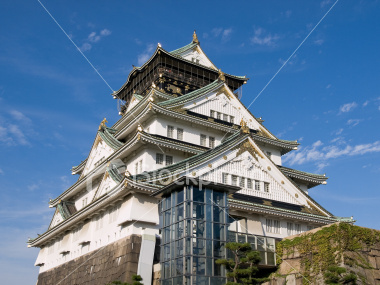 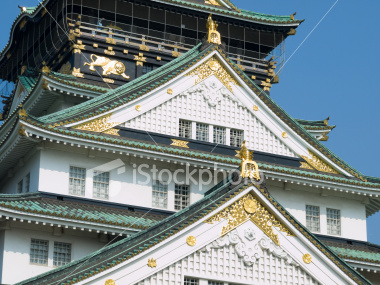 Osaka Castle is situated on a plot of land roughly one kilometre square. 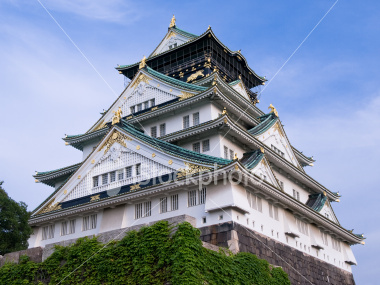 The central castle building is five stories on the outside and eight stories on the inside. 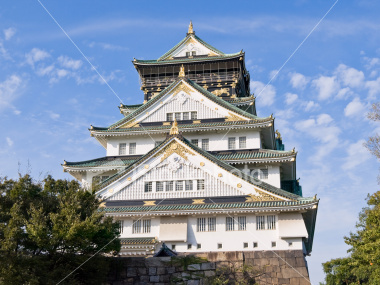 The Castle grounds, which cover approximately 60,000 square metres contain 13 structures which have been designated as Important Cultural Assets by the Japanese government, including the Toyokuni Shrine.